CENTRAL — Republican Barry Ivey swept to an upset victory Saturday in a special election to fill a vacancy in the Louisiana House of Representatives from District 65. Ivey, a 33-year-old business owner, defeated Metro Councilman Scott Wilson by a margin of 53 percent to 47 percent. He will replace Rep. Clif Richardson (R-Central), who resigned for health reasons. Ivey received 2,202 votes to Wilson’s 1,953 and carried all but three precincts in the district. 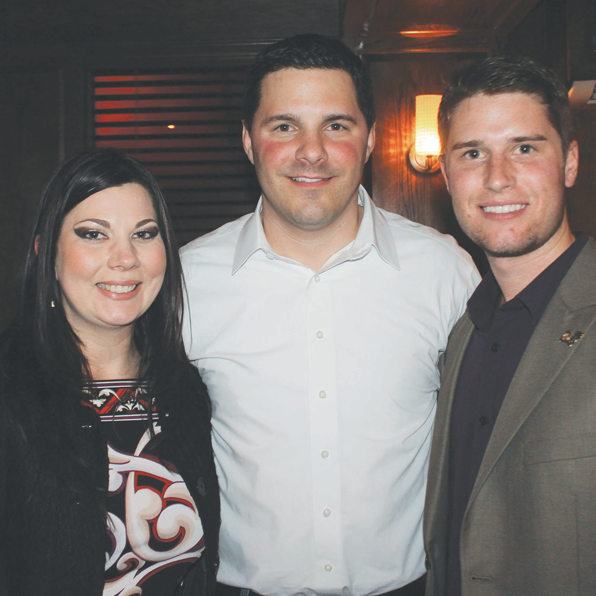 He won majorities in both parts of the district — Central and Southeast Baton Rouge. Ivey is a graduate of Central High and earned a B.A. in finance from LSU. He is the president and CEO of Pinnacle Precision Services, LLC, which works in nuclear power plants across the country. He has four children and is active in Victory Harvest. During the campaign, both candidates took a strong conservative stand on the issues. More than 50 Ivey supporters gathered to watch the returns at TJ Ribs Saturday evening. After learning the results, Ivey told supporters that he was humbled to have the opportunity to represent the district and very grateful for all those who supported his candidacy. On Wednesday, Ivey said he had received more than 100 congratulatory calls from supporters, legislators, lobbyists, and others. They included Gov. Bobby Jindal, U.S. Sen. David Vitter, Congressman Bill Cassidy, Sen. Bodi White, and State Rep. Valarie Hodges. The new state representative-elect met with House Speaker Chuck Kleckly Wednesday and several members of the House staff. He will be sworn into office soon and will have an additional ceremonial swearing in on the first day of the legislative session. Ivey said he took a look at a list of openings on House committees and will make a formal request for committee assignments soon. Ivey said Wednesday that he is nearing a decision on a site for a legislative office and on hiring a legislative assistant.